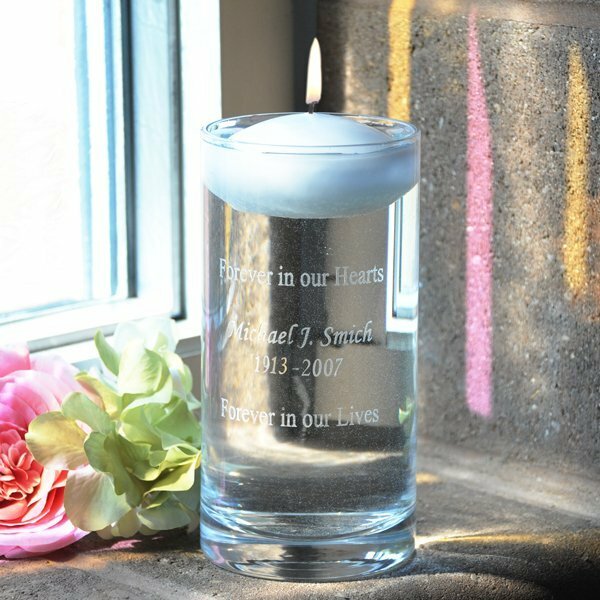 Beautiful and unique, this Wedding Memorial Vase with a white floating remembrance candle is a touching way to honor a special someone who can.t be there on your wedding day, but remains in your hearts. 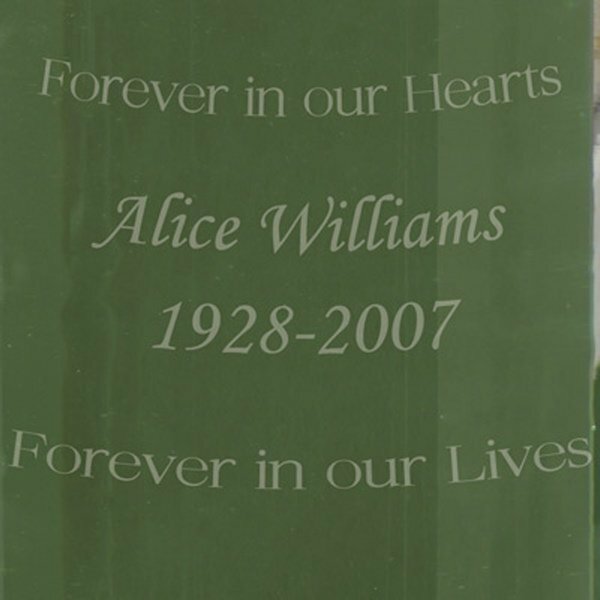 A 7" tall x 3.5" in diameter hand blown glass vase is inscribed with the words .Forever in our Hearts... Forever in our Lives. across the top and bottom. 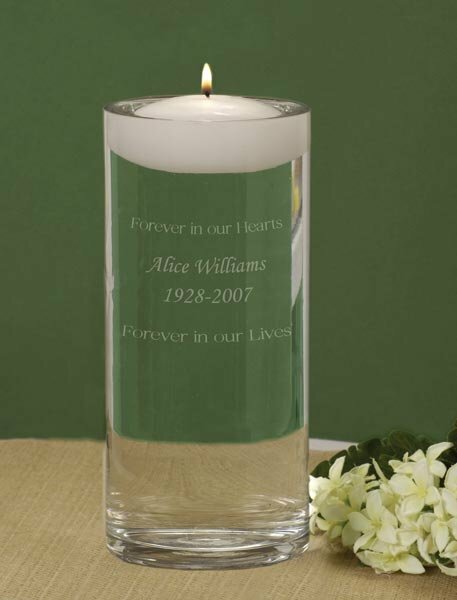 We will also engrave the center of the vase with a single name and date. 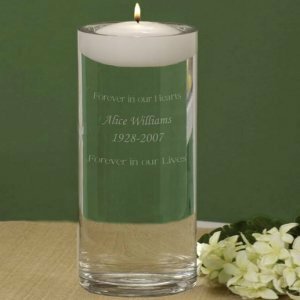 Most wedding couples display the memorial vase and candle throughout the ceremony by filling it with water and letting the lighted candle float and glow throughout the ceremony. 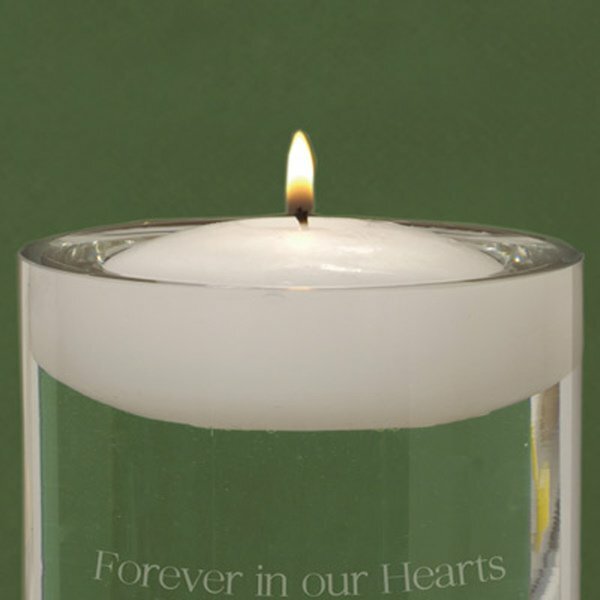 As a special tribute, you can mention your loved one during the ceremony.